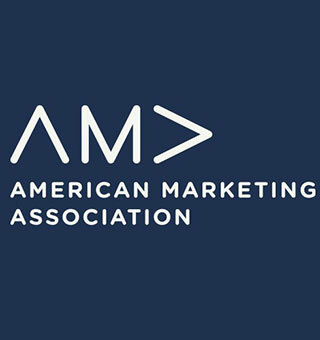 PhD students in Marketing, Psychology, and Economics should send their “packets” out by the fourth of July in the hopes of lining up interviews at the annual AMA Summer Conference. Each year DSN reprints this sort of “what to expect while you’re applying” guide, first published here by Dan Goldstein in 2005. In past years, Dave Hardisty and Abby Sussman have co-authored this guide with Dan to bring it up to date. “I” will refer to Dan in what follows. I am more than happy to publish AMA tips, updated information, or just AMA horror stories as part of this post. You can reach me at dan at dangoldstein dot com and let me know if you want to be anonymous or nonymous. I have seen the Marketing job market turn happy grad students into quivering masses of fear. I want to share experiences and provide a bit of advice to make the whole process less mysterious. Dan went on the AMA job market in the mid 2000s. Dave and Abby, who thoroughly revised this guide, went on the market in 2012. As a professor, Dan’s conducted scores of AMA interviews and made dozens of hiring decisions. Together, we’ve been on the candidate end many AMA interviews, and experienced numerous campus visits, face-to-face interviews, offers, and rejections. First, at least a couple months before the conference, find where it will be. It’s called the American Marketing Association Summer Conference. Insiders just call it “The AMA”. Get yourself a room in the conference hotel, preferably on the floor where the express elevator meets the local elevator for the upper floors. You’ll be hanging out on this floor waiting to change elevators anyway, so you might as well start there. Next, create a list of schools at which you would like a job. You can find the top 100 schools ranked by journal publications at: http://jindal.utdallas.edu/the-utd-top-100-business-school-research-rankings . Next, apply to each one you’d go to. In the past, this involved physically mailing application packets, but these days nearly everything is electronic. Some schools have online application portals, and others will take applications by email. How do you find out which one? Hopefully, the school you are applying to will have posted a job at ELMAR (see http://ama-academics.communityzero.com/elmar; and subscribe to their mailing list) or elsewhere, which will specify how to submit your application. Other times, you’ll need to get in touch with a department administrator to find out how to apply. It’s a good idea to apply to schools you like even if they say they aren’t hiring. Sometimes things change suddenly (a tenured faculty member unexpectedly moves to another school), and the only thing you risk is your time. http://www.marketingphdjobs.com/ has general information about the Marketing job market, including a job board showing who is advertising jobs. This site also has information about the times when jobs are announced. Different schools require different materials for the application, involving some combination of: cover letter, CV, teaching statement (and/or teaching evaluations), research statement, letters of recommendation (roughly three), your “job talk” paper, and one or two additional publications. It’s useful to have your advisor (or if that’s not feasible, his/her assistant) send an e-mail with your materials directly to their colleagues at each of your top choice schools. Ideally you would have your letter writers e-mail their recommendations directly to your advisor so the information is aggregated. This will not take the place of applying through a school’s official online system, but will bring attention to your application before it arrives. This is also useful for schools that are slow to set up their official application, or who are uncertain about whether they’ll be hiring. Some candidates will send hard copies of these packets to all of the schools, although this practice seems to be dwindling. Note that the CV for AMA takes a special format, including an extended abstract of your “job talk” paper, so you should find an example to model your CV after. It’s helpful if your letters of recommendation come from faculty in marketing. You need to demonstrate your commitment to the field of marketing, so it’s also ideal to have publications in marketing journals, or at least something under review at a marketing journal. It’s invaluable to have an “application buddy” who is also on the job market. You can share notes about who is hiring, how to apply at each place, etc. It also just makes the whole process more fun, to have a friend along for the ride. With the advent of electronic submissions, the “marginal cost” of additional submissions is extremely low, and schools are facing a flood of applications. Last year, the median number of applications sent by each candidate was 60, and this will probably increase next year. Each school can only interview a limited number of candidates at AMA (perhaps 20 or 30), so they need to be selective: they are not necessarily looking for the best candidates, but rather the best candidates that would accept an offer from their school (over and above offers from other schools). For this reason, “lower tier” schools will often not give interviews to “upper tier” candidates, because they believe that there is little chance the upper tier candidate would actually accept an offer from them. Therefore, you need to find a way to communicate why you are interested in that school in particular. The best way is if you have a contact at that school (or your advisor has a contact). You should let them know that their school is a high priority for you, and why. Another strategy is to get the word out that you are targeting a particular region (such as the west coast or midwest) or type of school (big city vs rural location, small vs large school, etc). Thus, even though your real priority is probably to get a job *anywhere*, it’s good to specialize a bit to give yourself a competitive advantage. Likewise, once you get an AMA interview or a fly-out, it’s good to have a host of reasons prepared to explain why you are excited about that school in particular. Keep in mind that information about your preferences that you tell to one school may get back to other schools as well. For that reason, it’s best to come up with unique reasons why you like each school that do not detract from your ability to credibly like others. If you are submitting by email, it’s a good idea to follow up and confirm that they have all your application materials. Sometimes email applications get lost (this happened to a friend of ours at his top-choice school), and once the AMA interviews are scheduled, it may be too late. Wait to get calls or emails from schools wishing to set up AMA interviews with you. These calls may come in as late as one week before the conference. Often they come when you are sitting outside having a drink with friends. Some schools will not invite you for totally unknown reasons. You may get interviews from the top 10 schools and rejected from the 30th-ranked one. Don’t sweat it. Again, this is the land of total and absolute unpredictability that you’re entering into. Also, know that just because you get an interview doesn’t mean they have a job. Sometimes schools don’t know until the last minute if they’ll have funding for a post. Still, you’ll want to meet with them anyway. Other times, schools are quite certain they have two positions, but then later university politics shift and they turn out to have none. When the schools call to set up an AMA interview, you will have some flexibility in scheduling. Should you put your top schools at the beginning of the weekend, the end, or somewhere in the middle? Common advice is to put your less preferred schools on the beginning of the first day, because this gives you a chance to practice before the “important” ones. Then you can put your top choice schools early (say 10am, not 8) on the second day of the conference, so you’ve had some time to practice, but you and the interviewers can still be fresh and energized. While it’s nice to schedule strategically, it’s very difficult since you have no idea which schools you’ll ultimately be hearing from, and calls come in over time. Don’t worry if it’s not possible to schedule everything perfectly- there’s no real magic to this. For example, the beginning of the weekend is also when interviewers will be freshest, and a primacy effect could help you: in fact, we know a candidate that put his top school first, and eventually got a job offer from them. After the AMA, you’ll hopefully get “fly-outs,” that is, offers to come and visit the campus and give a talk. This means you’ve made the top five or so. Offers for fly-outs generally come within a week or two of AMA. Actual job offers start in late October, and the market has generally cleared by Thanksgiving. There’s a second job market that happens after all the schools realize they’ve made offers to the same person. Some schools over-correct for this and don’t make offers to amazing people who would have come. We need some kind of market mechanism to work out this part of the system. Keep in mind that you will leave this process with 1 or 0 jobs. Therefore, when talking to a person, the most likely thing is that he or she will not be your colleague in the future. You should then think of each opportunity as a chance to make a friend. You’ll need friends to collaborate, to get tenure, get grants, and to go on the market again if you’re not happy with what you get. It’s a good idea to send thank-you emails after AMA, to maintain contact, show your interest in the school, and express your appreciation. After all, the AMA interviewers have sacrificed their weekend to talk to you. HOW DO YOU FIND OUT IN WHICH ROOM TO INTERVIEW? The schools will send you e-mails either a few days in advance, or the night before telling you which room to go to. Many profs ask the hotel to make their room number public, but for some reason many hotel operators will still not give you the room number. My sponsor gave me the advice of not going out at night and getting room service for breakfast and dinner. This worked for me. Also, the ridiculously high price of a room-service breakfast made me feel like I was sparing no expense, which I found strangely motivating. However, as this guide has gotten more popular, many people are ordering room service breakfast, and there were reports at last year’s AMA that the hotel was overwhelmed with orders and breakfasts were delivered quite late as a result. HOW DO THE ACTUAL AMA INTERVIEWS GO? At the prearranged time you will knock on their hotel room door. You will be let into a suite (p=.4) or a normal hotel room (p=.5, but see below). In the latter case, there will be professors with long and illustrious titles—people you once imagined as dignified—sitting on beds in their socks. The other people in the room may not look at you when you walk in because they will be looking for a precious few seconds at your CV. For at least some people in the room, this may be the first time they have concentrated on your CV. Yikes is right. Put the important stuff early in your CV so nobody can miss it. You can expect anywhere between one and nine faculty members to show up usually it will be between three to five. Some of them may take cell phone calls in the middle of your interview. Don’t take It personally. There will be one armchair in the room. Someone will motion towards the armchair, smile, and say, “You get the seat of honor!” This will happen at every school, at every interview, for three days. I promise. Allow extra time to get to your interview: all the candidates are traveling from one room to another at the same time, and the elevators can get pretty backed up. When you arrive, there will be two minutes of pleasant chit-chat. They will propose that you talk first and they talk next. There will be a little table next to the chair on which you will put your flip book of slides. You will present for 30 minutes, taking their questions as they come. Usually 20 minutes of scripted material will take you through the full time since you’ll be interrupted the whole way through. But you should be prepared to talk for up to 35-40 minutes for quiet groups, or sessions where only one faculty member shows up. They will be very nice. When done, they will ask you if you have anything to ask them. You of course do not. You hate this question. You make something up. Don’t worry, they too have a spiel, and all you need to do is find a way to get them started on it. By the time they are done, it’s time for you to leave. The whole experience will feel like it went rather well. It’s impossible to tell from how it seems to have gone whether they will give you a fly-out or not. Again, this is the land of staggering and high-impact uncertainty. They might not invite you because you were too bad (and they don’t want you), or because you were too good (and they think they don’t stand a chance of getting you and they don’t want to waste a precious fly-out on you). The latter fact means that “playing hard to get” is a bad idea. Interviewers will be friendly because everyone wants you to like their school, regardless of whether or not they will invite you for a fly-out. DO INTERVIEWS DEVIATE FROM THAT MODEL? Sometimes instead of a hotel room, they will have a private meeting room (p=.075). Sometimes they will have a private meeting room with fruit, coffee, and bottled water (p=.025). Sometimes, they will fall asleep while you are speaking (p=.05). Sometimes they will be rude to you (p=.025). Sometimes a key person will miss an early interview due to a hangover (p=.025). Sometimes, if it’s the end of the day, they will offer you alcohol (p=.18, conditional on it being the end of the day). The committee has read your CV and cover letter and looked at your pubs. They know your topic and can instantly appreciate that what you are doing is important. They know the value of each journal you have published in and each prize you’ve won. They know your advisor and the strengths she or he instills into each student. They ignore what they’re supposed to ignore and assume everything they’re supposed to assume. They’ll attach a very small weight to the interview and fly you out based on your record, which is the right thing to do according to a mountain of research on interviews. The interviewers will have looked at your CV for about one minute a couple months ago, and for a few seconds as you walked in the room. They will never have read your entire cover letter, and they will have forgotten most of what they did read. They could care less about your advisor and will get quite annoyed that you didn’t cite their advisor. They’ll pay attention to everything they’re supposed to ignore and assume nothing except what you repeat five times. Flouting 50 years of research in judgment and decision-making, they’ll attach a small weight to your CV and fly you out based on the interview and their gut feeling. Your ability to speak English well won’t get you a good job, but your inability to do so will eliminate you from consideration at every top school. Understand that business schools put a premium on teaching. If the interviewers don’t think you can communicate in the classroom, they’re probably not going to take a chance on you. If you are just starting out and your spoken English is shaky, my advice is to work on it as hard as you are working on anything else. Hire a dialect coach (expensive) or an english-speaking actor or improviser (cheaper) to work with you on your English pronunciation. In the Internet age, it’s quite easy to download samples of English conversational speech, for instance from podcasts, for free. It’s also very easy to get a cheap headset and a free audio recorder (like Audacity) with which to practice. 1) The plow. You start at the first slide and go through them until the last slide. Stop when interrupted and get back on track. 2) The volley. Keep the slides closed and just talk with the people about your topic. Get them to converse with you, to ask you questions, to ask for clarifications. When you need to show them something, open up the presentation and show them just that slide. I did the plow the first year and the volley the second year. I got four times more fly-outs the second year. Econometricians are working hard to determine if there was causality. I would not attempt the volley unless you are generally considered to be good with words. A middle ground is to have a shorter presentation prepared, with many backup slides that you can turn to in response to audience interest or specific questions. This helps the audience understand that you’ve thought about the project deeply, that your responsive to their specific interests and feedback, and that there’s more to support your argument than the prearranged script, but it’s easier for some to execute than a straight volley. What do you use to show your slides? Many candidates print out slides and put them into a presentation binder, such as one of these: http://tinyurl.com/c46ob64 . Insert two copies of each slide into the binder so you can see a copy from the back, and the audience can see another from the front. Hand-outs are also a good idea, as a supplement to your slides. Bring lots of hand-outs, because it’s common to let them keep one copy. Keep in mind that AMA slides are not the same as a typical PowerPoint presentation. People should be able to read your slides from the back of the room. I recommend no smaller than size 40 font, and larger is better. Lately, people have talked about showing slides on an iPad, but I don’t know anyone that has actually done this. Make no mistake, you are an actor auditioning for a part. There will be no energy in the room when you arrive. You have to be like Santa Claus bringing in a large sack of energy. The interviewers will be tired. They’ve been listening to people in a stuffy hotel room from dawn till dusk for days. If you do an average job, you lose: You have to be two standard deviations above the mean to get a fly-out. So audition for the part, and make yourself stand out. If you want to learn how actors audition, read Audition by Michael Shurtleff. From the candidate’s point of view, everything is about the CV and the correctness of the mathematical proofs in the job market paper. However, for better or for worse, extra-academic qualities matter. Here are two examples. 1) The Social Lubricant factor. Departments get visitors all the time: guest speakers, visiting professors, job candidates, etc. Some departments are a bunch of folks who stare at their shoes when introduced to a new person. These departments have a real problem: they have nobody on board who can make visitors feel at ease, and sooner or later word starts to spread about how socially awkward the people at University X are. To fix such problems, departments sometimes hire socially-skilled types who know how to make people comfortable in conversation, and who know how to ask good questions during talks. Also, interviewers assume that people who can talk a good game will be star teachers. 2) The Soft Sell factor. Many people succeed in academia not because they are often right, but also because they are masters of making other people feel like they aren’t wrong. Defensiveness or determination to embarrass when responding to critique is an effective way to blow an interview. One of the biggest risks facing you is that you will be forgotten. Make sure the interviewers know something unusual about you. My quirk is that I worked internationally as an actor and theater director for over a decade; I even had a bit part in a Conan O’Brien sketch on TV. It has nothing to do my research, but people always bring up this odd little fact when I do campus visits. Some bits of trivia are just more memorable than others. Never think it’s hopeless. Just because you’re not two SDs above the mean at the school of your dreams, it does not mean you’re not the dream candidate of another perfectly good school. Many candidates don’t realize the following: The students are competing for schools but the schools are also competing for students. If you strike out, you can just try again next year. I know a person in Psychology who got 70 rejections in one year. I know a person in Marketing who was told he didn’t place in the top 60 candidates at the 20th ranked school. The subsequent year, both people got hired by top 5 departments. One of them is ridiculously famous and considered among the smartest people in Marketing! Gossip can mess with your chances. Gossip that you are doing well can hurt you because schools will be afraid to invite you if they think you won’t come. Gossip that you are doing poorly can hurt you because schools that like you will be afraid to invite you if they think no one else does. Sometimes people will ask a prof at your school if you would come to their school, and the prof will then ask you. To heck with that. Just say that if they want to talk to you, they should talk with you directly. The danger of rumors can be summed up by the following story. At ACR I was having a beer with someone who confessed, “you know, my friend X at school Y told me that they want to hire you, but they’re afraid your wife won’t move to Z”. I was single. 2016 guide to the American Marketing Association (AMA) job market interviews for aspiring professors was written on May 24, 2016 and filed in Conferences,Gossip,Ideas,Jobs.